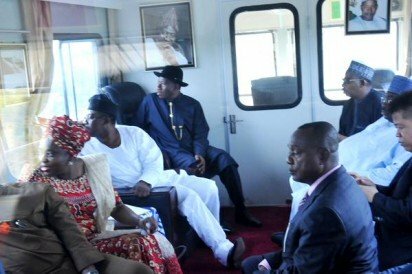 Twenty-two days to the end of his tenure as Nigeria’s president, Goodluck Jonathan has inspected the ongoing construction of the National Railway Terminal at Idu and the Abuja light rail transit system. He has therefore urged his successor to continue the ongoing railway projects across the country, noting that rail transportation remains the cheapest and most effective. The federal government had taken a $1.1 billion facility from China Exim Bank in 2012, $500 million of which was earmarked for the Abuja Light Rail project which was at 25 percent completion at the time. The facility was obtained on a 2.5 percent interest over 20 years with a grace period of seven years. SURE-P also provided N20 billion counterpart funding for the project. 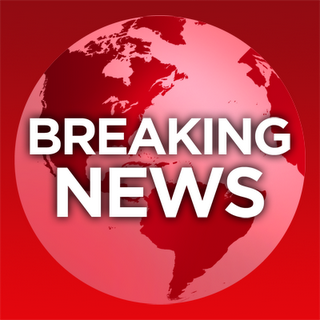 Jonathan was​​ accompanied​ on the visit ​by the Minister of the Federal Capital Territory (FCT) Bala Mohammed​,​ and the Minister of State,​ ​Olajumoke Akinjide. The team boarded a train from Ring Road 2 Light Rail Station around Jabi and went on a ten-minute ride to Idu Transfer Station, which is still under construction. He was then briefed by officials of the FCT and the con​s​tr​uction​ firm, CCECC​,​ on the progress of the project before inspecting facilities at the station. 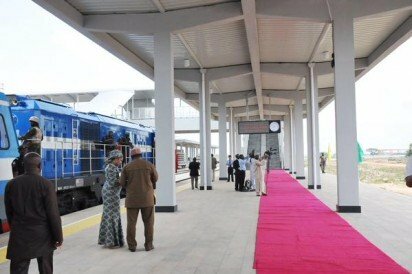 “I emphasised the need for rail system in terms of developing an effective mass transit in any nation,” Jonathan said. “When we are talking about mass transit, you cannot talk about it using taxis, small cars, even the luxurious buses. It will be too expensive. “We want our rail system to work and that’s why we are emphasising intercity and intra-city, normal rail and intra city light rail systems. “We are quite appreciative of the level of cooperation. The CCECC has been doing very well and of course, the ministry of the Federal Capital Territory. They are doing wonderfully well. “I’m quite impressed. I have been longing to come and inspect the project for a very long time but for challenges in terms of my commitments. According to the FCT Minister, Muhammed the project will be completed by August. Below are some of the images from the inspection, according to the his spokesperson, Reuben Abati via his twitter handle. Next articleLilian Esoro Is The New Instagram Queen!! !